When the decision was made to create an app, our first thoughts turned to why people use apps, as this would help to define our direction. There are apps for everything and anything – from listening to the radio, improving your photos, turning your phone into a spirit level and playing games – essentially popular apps are ones that are useful – useful at giving you information, sharing information or useful for wasting time. Or all of the above. In the short timeframe for the project we wanted to be clear on our objectives. So why should I use this app? 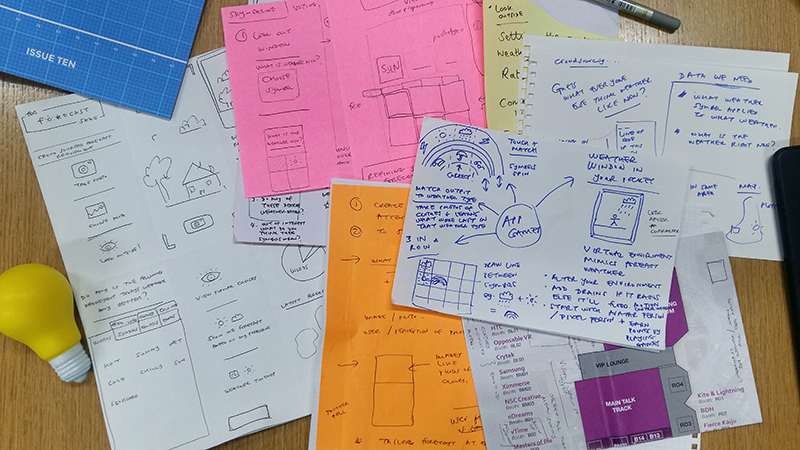 We initially explored gamification as a great hook to get people to use the app – looking at popular, addictive games and sketching up ways that we could create something playful yet useful. 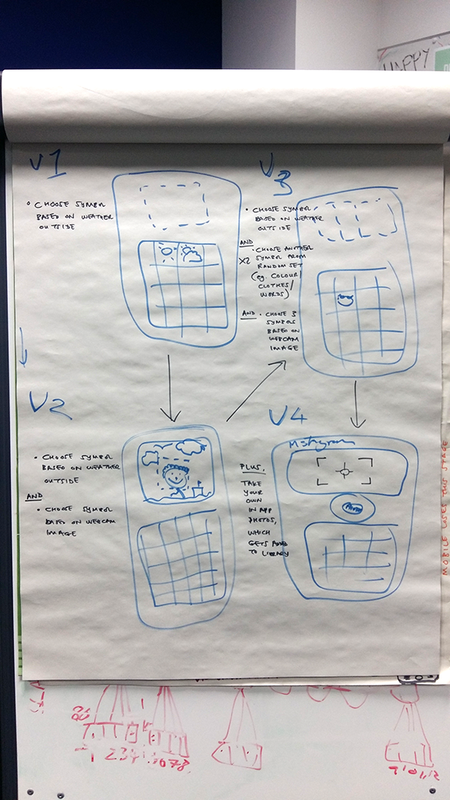 However, given our timeframe, we decided to create the MVP (Minimum Viable Product), but by moving away from creating a game, we had to make it clear to the user why they would want to use the app – to help with forecast refinement. The visuals were key to this. 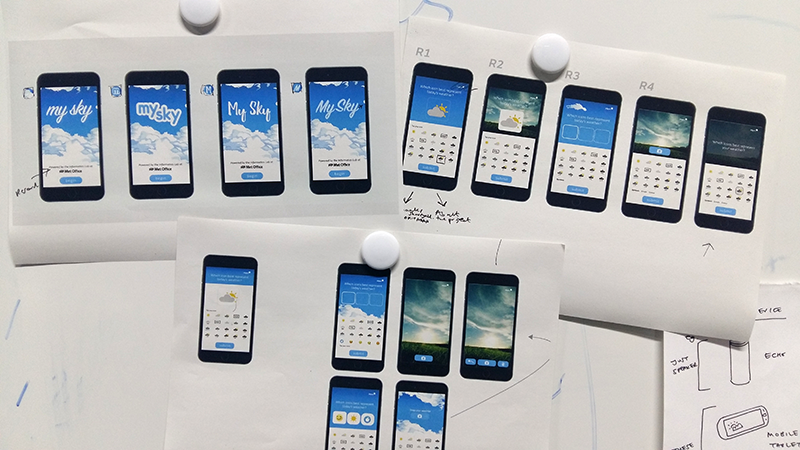 We talked through lots of ideas to come up with a relevant name and made the purpose of the app clear by using clouds and sky in the design. We mocked up what versions we were aiming to produce, and what functionality might be required for each, in order to try and design ahead to bring in design consistency even at early prototype stage.